Huzzah! 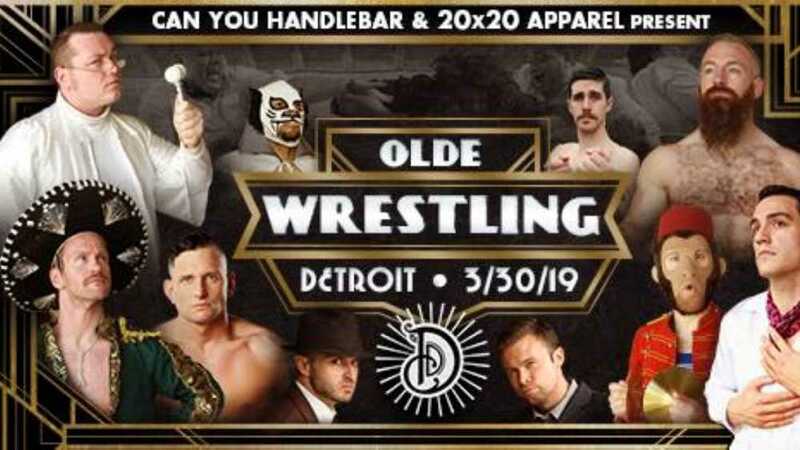 Olde Wrestling is coming to Detroit! Spread the word, tell your friends, shout from the rooftops. We’ve got all the elbow smashin’, hip tossin’, slam bang vintage style of wrestling that comes around just a few times a year. WORLD CHAMPION Matthew Cross • Judge Hugo Lexington Black • Marion Fontaine • RJ Metropolis • Cymbal Monkey • Gregory Iron • The Lobbying Legislators • Felino Blanco • Aiden Prince • ‘Old Timer’ Jeff King and many more! – Photo booth from Can You Handlebar?